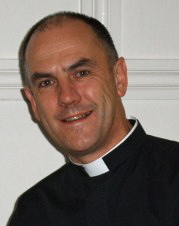 Fr Philip is the Vicar of St Matthew's and also the Area Dean for Westminster (St Margaret) Deanery. Fr Philip was ordained priest in 1980. He served in the parishes of St Chad, Shrewsbury and St Martin-in-the-Fields before becoming Chaplain of King's College in the University of London. Fr Peter served in the RAF (1972-78) after which he joined the Prison Service. He was Governor of four prisons and finished his time at headquarters of HMPS here in Westminster. He was ordained priest in 2003.